Birmingham-based Near Perfect Media has appointed Frank Buscemi as its new partner and executive vice president. In his new position, Buscemi will be responsible for implementing and developing communications strategies for all of Near Perfect Media’s clients. He will also work directly under Justin Near, president of Near Perfect Media, to execute the growth strategic plan for the company. 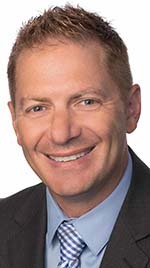 Buscemi, of the Detroit-area, previously worked at the Auburn Hills based TI Automotive, where he directed all global marketing and communications activities for the company. He previously worked as a sports writer for the Oakland Press before moving into public relations with John Bailey & Associates, Inc., in 1996. Buscemi is a graduate of Grand Valley State University in Allendale.